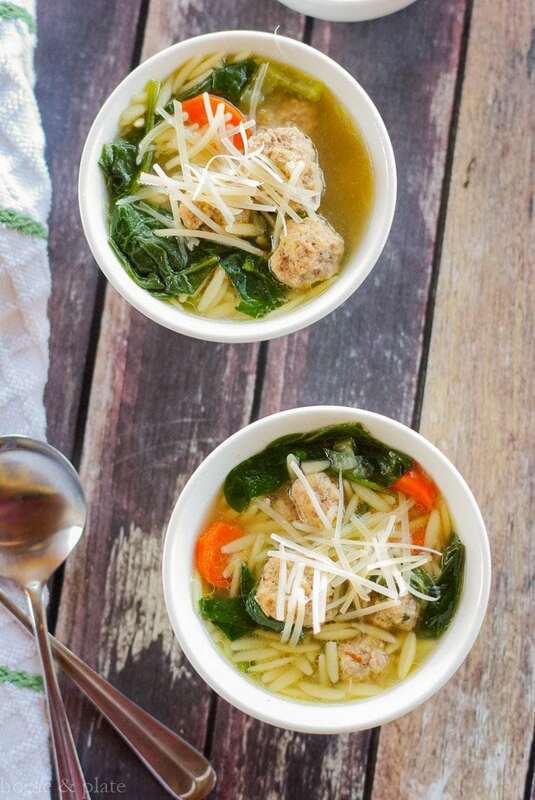 My Spinach Soup with Mini Meatballs & Orzo takes 30 minutes to make and features the taste of fresh meatballs, orzo and wilted spinach in a delicious broth. 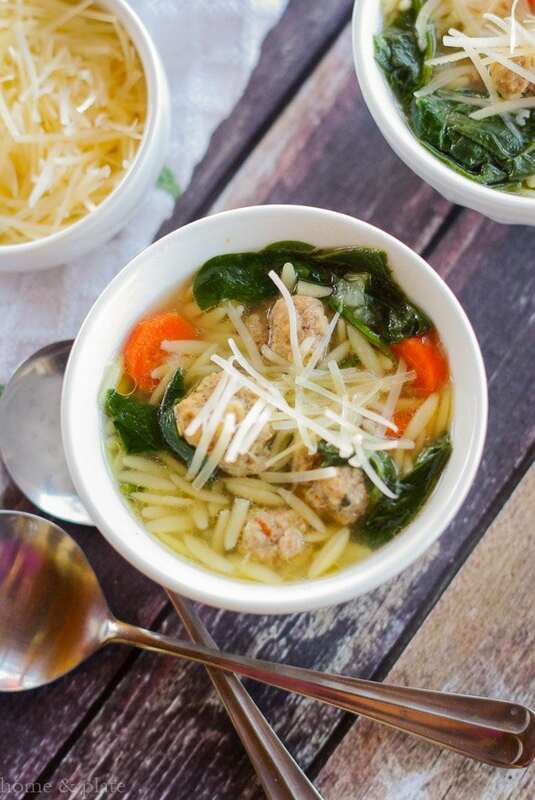 There are plenty of Italian wedding soup recipes floating around online. 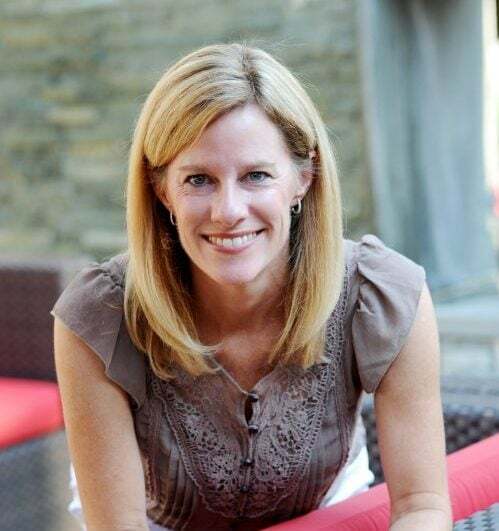 But if you are anything like me you have just a few minutes to throw dinner together before having to rush out the door for meetings or children’s activities. Maybe you just don’t feel like cooking tonight. This recipe will stay hot on the stove until you’re ready to eat it. My Fresh Spinach Soup with Mini Meatballs & Orzo hits the jackpot because it literally takes less 30 minutes to make. Throw it all in a pot and literally let it cook. 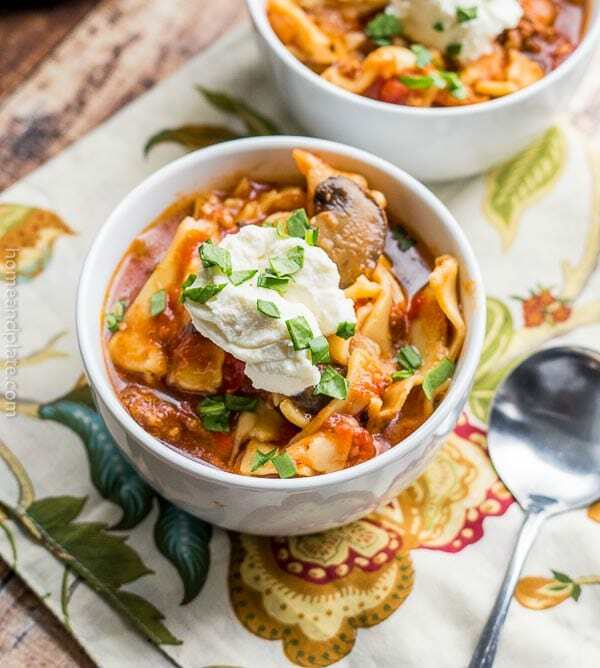 The result is a healthy and hearty soup full of flavor that hits the spot on a cold day. 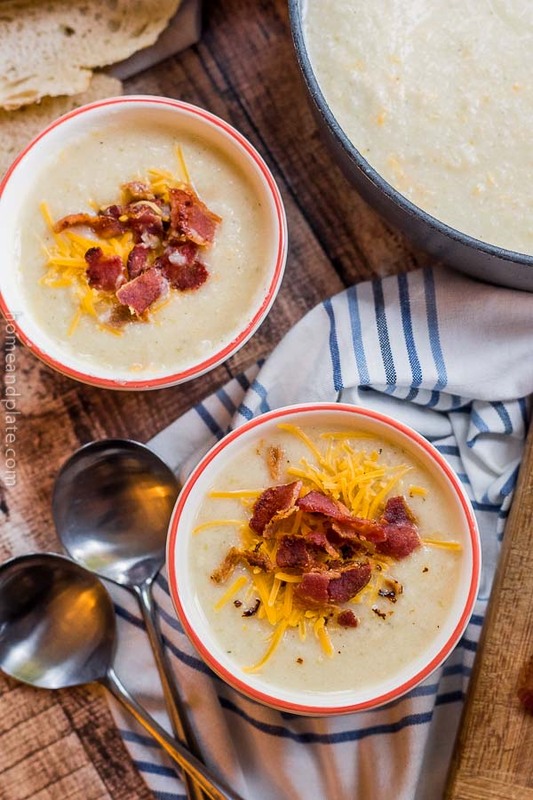 This is also the perfect soup to serve as an appetizer for a holiday dinner. To make this recipe simple, pick up a pack of meatloaf mix at your grocery store and a bunch of fresh spinach, kale or escarole. Any of these three greens taste delicious in this soup. 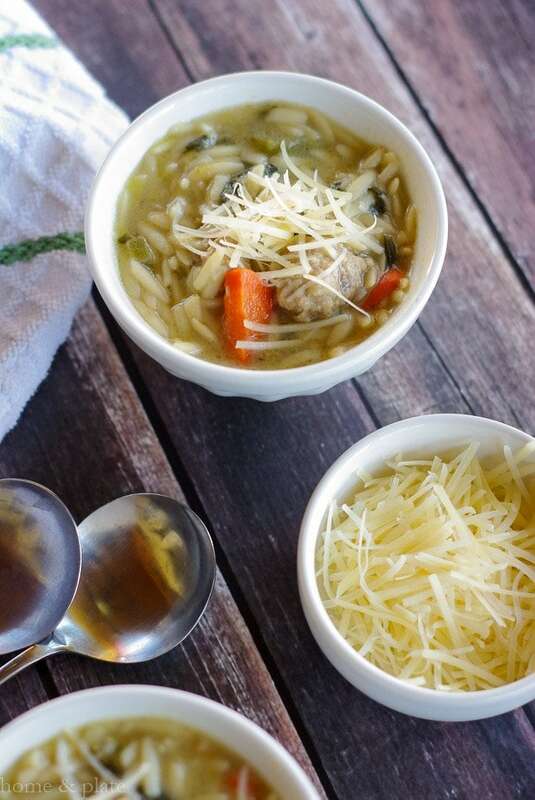 I like orzo in this soup but any small pasta would work well too. Don’t you just love the mini meatballs? Mix together the meat, eggs, bread crumbs, Parmesan cheese, parsley and red pepper flakes. Shape the mini meatballs into 3/4 inch balls. Set aside. In a large pot, bring the broth to a boil. Stir in the carrots, onion, celery, spinach, the orzo and the meatballs. Once boiling reduce the heat to medium and continue cooking for 10 minutes until the orzo is cooked. Top each bowl with grated Parmesan cheese and serve. 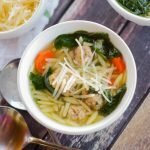 This soup is so up my alley…I haven’t made a meatball soup in so long and looking at yours, I am craving it now! Thanks Michelle. This recipe is so easy to make. Literally…throw it all in a pot and let it cook. This looks fabulous. I love spinach in soup. My kids will eat fresh spinach in salad and they will eat it in soup, but won’t touch it in anything else. Pinning this to my soup board! Thanks Amy. It is a kiddo favorite. They don’t even know it’s healthy. Beautiful pix. Perfect for this transition soup weather- it’s not time for hearty stew just yet, but soups with fresh greens are perfect. I agree with you completely. Thanks. Beautiful! The pictures and recipe both look completely wonderful. Perfect for a chilly day like today! Thanks Becky. It was 75 degrees here in Ohio today but the weekend will be perfect soup weather. I totally agree with you. Love the mini meatballs in soups and sauces. Thanks Dee Dee. I love those little meatballs! This is my perfect weeknight comfort food. I love the meatballs too. Yumm is right.